*If your city has rent control, these 2 reasons may not be good enough to evict a tenant. Contact your local city or county government office to find out if you live in a rent-controlled area. Or talk to your self-help center, or a lawyer for help. A landlord cannot evict a tenant for an illegal reason like discrimination or to get back at the tenant for taking action against the landlord, like filing a complaint because the property’s heating system is broken. 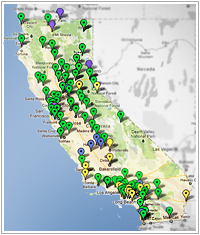 Use LawhelpCalifornia: Housing to find a legal aid program in your county as well as other free or low-cost resources in your area. Find help from your court. Find your county's lawyer referral program. Read about Mediation & Settlement for information about resolving your case out of court. Find information about sexual harassment in housing. The outside walls, windows, and doors protect tenants against water or weather. There is a working heater. The premises and common areas must be clean and free from pests. There are adequate garbage containers. The floors, stairways and railings are not broken. *The landlord must meet the standards in effect when installed as well as current building and house code standards. For more information, read California Civil Code section 1941. The landlord must also promptly repair problems related to the habitability items listed above. If the tenant gives notice of a problem and the landlord fails to fix it, the tenant may be able to pay for the repair and deduct the cost from the rent. This only applies if the cost is not more than 1 month’s rent. Read Civil Code section 1942. The landlord must give reasonable notice to the tenant before gaining entrance to the rental unit, unless there is an emergency that requires immediate entry (such as fixing a broken pipe). There are other responsibilities that landlords have, and you can read about them in the materials from the California Department of Consumer Affairs. Keep the rental unit clean. Operate electrical, gas, and plumbing fixtures properly. Not damage or remove any part of the rental unit, its facilities, or equipment. Use the rental unit as a home and live, sleep, cook and dine only in the intended areas. There are other responsibilities that tenants have, and you can read about them in the materials from the California Department of Consumer Affairs.